En una reunión del Órgano de Solución de Diferencias (OSD) celebrada el 11 de abril, los Miembros de la OMC accedieron a la solicitud de Tailandia de que se estableciera un grupo especial que se pronunciara sobre la diferencia relativa a los derechos percibidos por Turquía sobre los aparatos para acondicionamiento de aire importados tailandeses. Los Miembros también examinaron la solicitud de Rusia de que se estableciera un grupo especial en relación con los derechos antidumping de la Unión Europea sobre los productos de acero rusos y adoptaron formalmente los informes del Grupo Especial sobre el cumplimiento y del Órgano de Apelación relativos a la reclamación presentada por la Unión Europea contra las subvenciones de los Estados Unidos a Boeing. 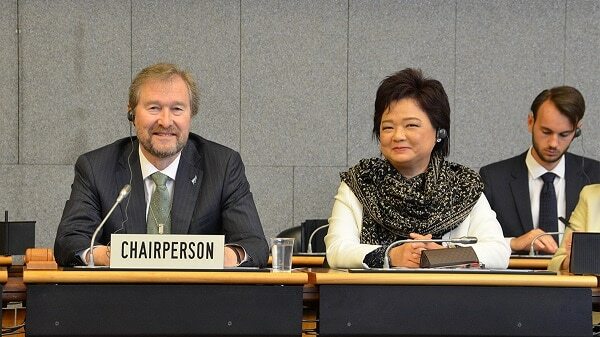 Thailand presented its second request for a WTO dispute panel to rule on an additional 9.27% duty imposed by Turkey on imports of Thai air conditioners. Thailand’s first request was blocked by Turkey at a DSB meeting on 25 February. The tariffs were imposed in response to Thailand’s earlier decision to extend safeguard duties on imports of non-alloy hot rolled steel flat products for an additional three years. Thailand said it is concerned the additional duties imposed by Turkey are inconsistent with Turkey’s obligations under the General Agreement on tariffs and Trade (GATT) 1994 and the WTO’s Agreement on Safeguards. Turkey said it regretted Thailand’s decision to again request a panel and reiterated that the request was premature, since Turkey hoped the two sides could continue talks on resolving the matter. Turkey said it remained available for further discussion with Thailand. The DSB agreed to establish the panel. Brazil, Canada, China, the European Union, India, Japan, Korea, the Russian Federation, Singapore, Ukraine and the United States reserved their third-party rights to participate in the panel proceedings. The Russian Federation submitted its first request for a panel to rule on anti-dumping measures imposed by the European Union on imports of certain cold-rolled flat steel products from Russia. The dumping duties, ranging from 18.7% to 36.1%, were imposed on the Russian steel imports starting in August 2016. Russia told the DSB that it held consultations with the EU on the matter on 8 June 2017 with a view to reaching a mutually satisfactory settlement of the matter but that the talks failed to resolve the dispute, prompting Russia to submit its request for a panel. The European Union said that it remained available to provide further explanations to Russia after having held constructive consultations. The EU was convinced that its measures at issue in this dispute were in conformity with WTO agreements. Therefore, the EU was not ready to agree to establish a panel at the present meeting. The DSB took note of the statements and agreed to revert to the matter. The European Union said it welcomed the Appellate Body’s ruling in the compliance proceedings for DS353 issued on 28 March , saying it vindicated most of the claims advanced by the EU. The Appellate Body’s ruling confirms the US has not brought itself into compliance with earlier rulings as it continues to illegally subsidise the US aircraft manufacturer Boeing, causing significant harm to its European competitor Airbus; the ruling also confirm that the United States has taken no appropriate action to comply with its obligation to withdraw subsidies declared illegal by the WTO back in 2012, or to remove their adverse effects, the EU said. The EU said it regretted that while, on a number of points, the Appellate Body overturned the compliance panel’s conclusions, including the characterisation of certain US measures and their specificity, in the absence of sufficient factual findings in the panel report, it was not in a position to complete its analysis in this respect. The EU said it expects the United States to promptly comply with this final ruling. The United States said the ruling being discussed today came about because, 14 years ago, the US initiated a challenge to EU “launch aid,” which allowed EU member states to pay for the development of Airbus aircraft and which Airbus does not have to repay if the aircraft proves unsuccessful. A WTO panel and the Appellate Body found, as the US asserted, that the launch aid subsidies were responsible for the development of every single Airbus aircraft and caused massive adverse effects to US trade. The EU responded by bringing its own case in 2005 claiming that US subsidies for Boeing were bigger and more distortive of trade. The rulings in this proceeding have vindicated the US position that the substantial and large subsidies provided by the EU to Airbus dramatically outweigh the findings of US subsidization in this dispute, the US said. The EU originally alleged subsidies of $19 billion to Boeing and a wide range of adverse effects in three market segments, the US said. In the end, the compliance panel found only one measure – a Washington state tax break worth between $100-110 million per year – continued to be WTO-inconsistent, a finding confirmed by the Appellate Body’s March 28 ruling. In contrast, the compliance panel and Appellate Body rulings in the US case against Airbus found the EU granted subsidized financing amounting to approximately $18 billion to Airbus that cause Boeing to lose sales of more than 300 aircraft around the world. While the EU claims to have removed these subsidies, in reality the EU only removed two minor subsidies and left most of the rest unchanged while granting Airbus an additional $5 billion in new launch aid to finance its new A350XWB aircraft, the US charged. These subsidies have caused, and continue to cause, serious prejudice to US interests, prompting the US to request WTO authorization to impose countermeasures against the EU of $11.2 billion annually. Canada said the Appellate Body had affirmed, once again, that there were two distinct compliance options available under Article 7.8 of the WTO’s Agreement on Subsidies and Countervailing Measures: the implementing member could either withdraw a subsidy which caused adverse effects or remove the adverse effects caused by such subsidy. The DSB adopted the Appellate Body and the compliance panel report as modified by the Appellate Body. The DSB elected, by acclamation, Ambassador David Walker of New Zealand as its new chair. Delegations thanked the outgoing chair, Ambassador Sunanta Kangvalkulkij of Thailand, for her hard work, dedication and leadership. They also wished Amb. Walker the best of luck in his new role and assured him of their full support. Amb. Kangvalkulkij spoke at the Graduate Institute in Geneva on 10 April on DSB developments in 2018. A copy of her remarks is available here.